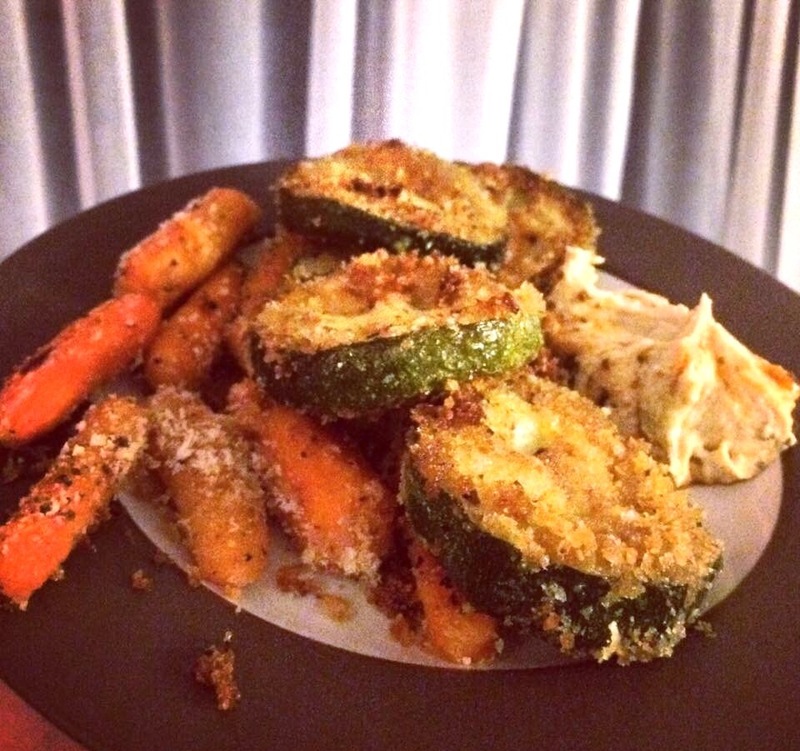 Panko – Midnight Munchies & More! Sometimes when the boyfriend and I are driving around on a weekend, we swing by farmers markets! This is just one example of what I like to do to keep it simple but delicious! This specific time, we got zucchini and carrots. So, I coated them in some EVOO, Panko bread crumbs and some salt and pepper to taste. Roast on 400 degrees F for about 20 mins, depending on your oven! Then voila! Dip them in some hummus and you have a pretty healthy snack, side or even lunch! Always remember to shop local when you can!